If you want to improve your posture –No matter how young or old or how fit or frail you are you could benefit from the Alexander Technique’s gentle, mindful approach to improving posture. ‘Posture’, in it’s widest sense, affects all of our activities and improving it has the potential to make any activity easier and more enjoyable. Click here for more information about how the Alexander Technique could help you improve your posture. If you want to relieve pain – there is good scientific evidence for the effectiveness of using Alexander Technique to relieve back and neck pain plus good anecdotal evidence for its effectiveness for relieving other pain especially that caused by excessive tension. Click here for more details about how you could benefit from the Alexander Technique if you are in pain. If you want to reduce stress – after 30 years of working in mental health services, I have a particular interest in teaching the Alexander Technique as a means of reducing stress and anxiety. Whilst medication and talking therapies are undoubtedly effective for some people, the Alexander Technique offers something different that can be used in combination with other treatments or on its own. Click here for more details about how you could benefit from the Alexander Technique if you are feeling stressed. 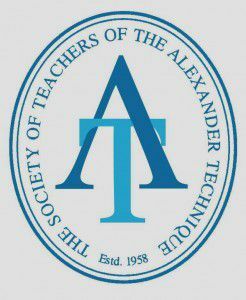 The best way to understand how you could benefit from the Alexander Technique is to experience it for yourself. 30 minute taster sessions £10.